The midfielder from Fuentealbilla shows off his knowledge of Barça history. How many questions will he get right? 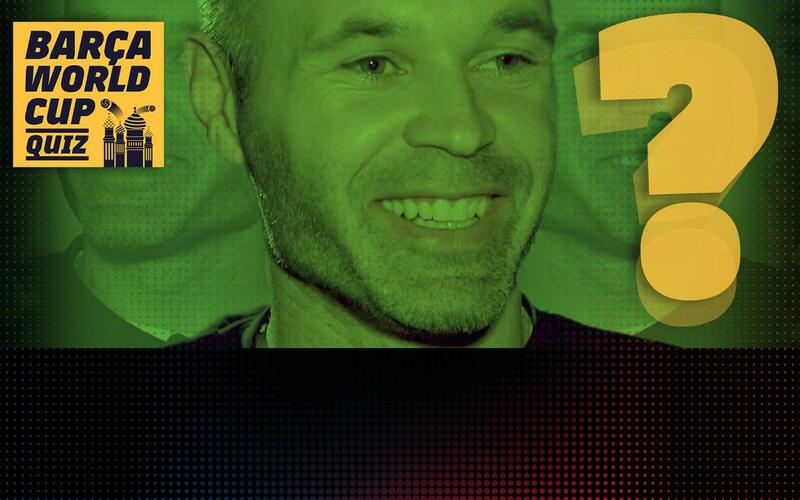 Andrés Iniesta is without doubt one of the most important players in the history of the game. He has had a glittering career with Barça and also with the national team. Iniesta has another chance to add to his list of achievements this summer in Russia with another victory in the World Cup in his fourth appearance in the tournament, coming on the back of a great season with the blaugranes in which they did the league and cup double. With a tournament debut against Portugal just around the corner, the midfielder agrees to put his Barça knowledge ot the test. How many questions will be get right? Find out in our video!